By Apuleius’ time, Isis was deeply into Her Myrionymous phase as Lady of the Ten Thousand Names. Yet even then, he knows that the “Ethiopians, Africans, and Egyptians” are the ones who best know Her proper rites and Her true name of Isis. Isis has a deep and abiding relationship with those who know Her in this ancient and authentic way. So for today’s post, I’d like to tell you something about Isis as She was known in the lands to the south of ancient Egypt, often known as Nubia. The name Nubia comes from an Egyptian term for “gold,” nub. Thus Nubia is the Gold Land. Nubia is (roughly) the ancient kingdom of Kush, with its famous capital city of Meroe, while Ethiopia, to the south and east of Nubia, may be what the Egyptians referred to as the Land of Punt. Today, Nubia is part of southern Egypt and Sudan and some of the people there still refer to themselves as Nubians. You may also recall that in the last days of Philae, it was Nubian peoples such as the Blemmyes and Nobade who continued Isis’ worship at Philae even after the temple was officially closed. In Classical Greece, Kush was called Ethiopia, so in many texts any distinction between Nubians and Ethiopians is unclear. In this post, I’ll use Nubia and Nubian as general terms for the land and peoples to the immediate south of ancient Egypt. Ancient Egypt and Nubia have a complex and interweaving history, at various times dominating and influencing each other. (Egypt’s 25th dynasty was a Nubian one.) During all this co-mingling, some Egyptian Deities came to Nubia, Isis among them. 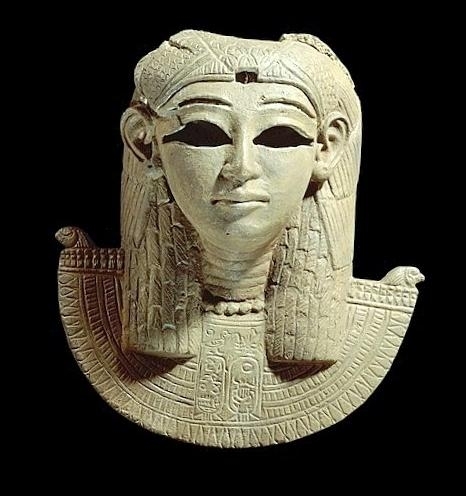 Probably established in Nubia around 1950 BCE (when Egypt was dominant and Nubian royalty adopted much Egyptian custom), Isis has long been a Nubian Goddess. 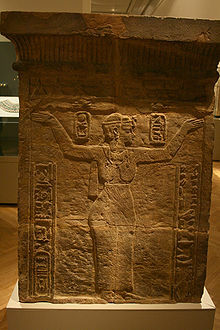 Isis was known throughout Nubia as The Great Lady of Nubia. In the British Museum, there is an Egyptian healing text in which Isis specifically says of Herself, “I am the Nubian and I have descended from heaven.” The formula is for the cure of poisoning. In the formula, Nubian Isis speaks a spell consisting of a long list of Deities Who come to bring healing to the sufferer. As the Nubian Who descends from heaven, She comes bringing with Her the rich blackness of the heavens, of fertility, and of healing magic. 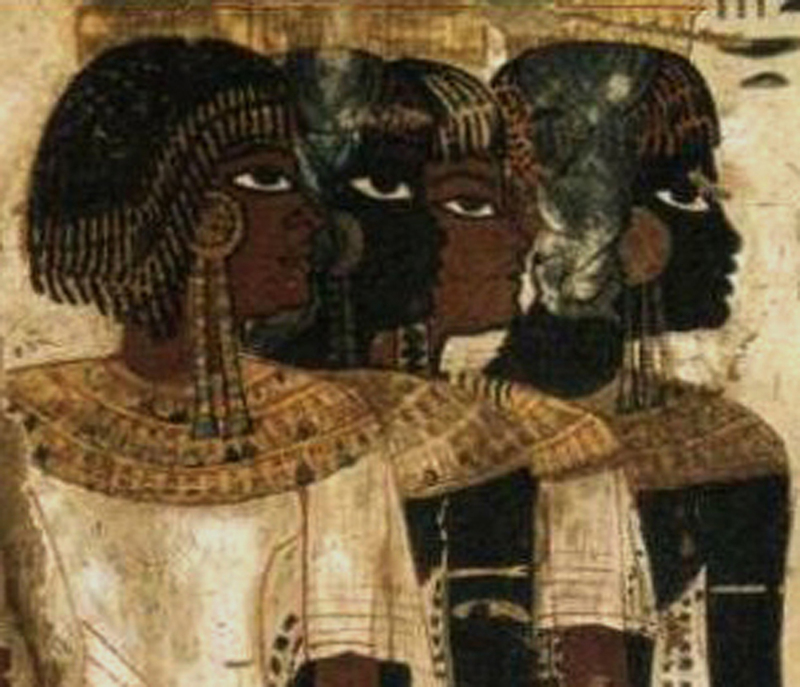 Lana Troy, in Patterns of Queenship in Ancient Egyptian Myth & History, suggests that Isis’ Nubian blackness counteracts the painful redness of the poison. Diodorus Siculus preserves a Nubian tradition that the Egyptians were actually colonists sent out by Nubia (he says Ethiopia) under the leadership of Osiris. According to this tradition, what was then Egypt was, at the beginning of the world, only sea. It was the silt flowing north down the Nile that formed the land of Egypt. 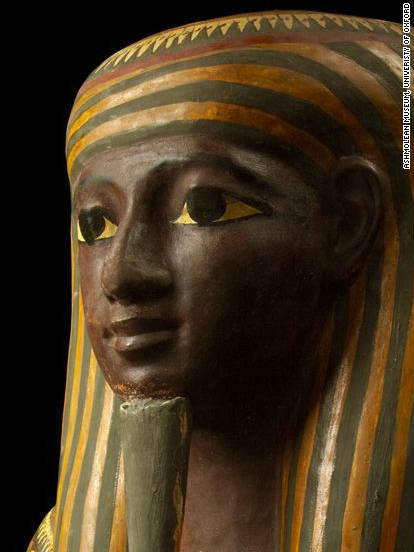 The tradition also says that Egyptian customs and writing are Nubian as well. (Diodorus Siculus, Book 3, section 3) Indeed, archeological investigations reveal this area as one of the world’s oldest civilizations, alongside Mesopotamia and Egypt. 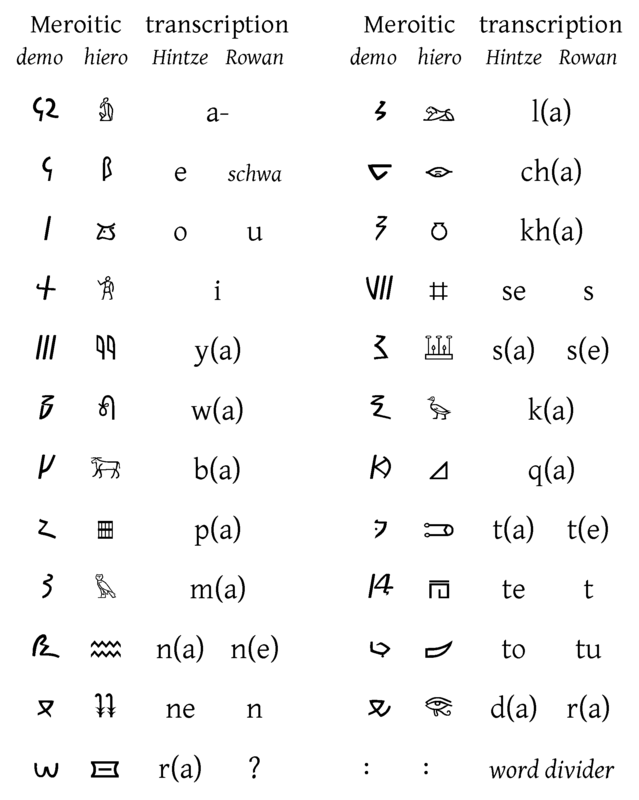 In Meroe, they used both hieroglyphs and Meroitic writing, which has been partially decoded. We find evidence of Isis throughout Nubia, but most strongly in the great city of Meroe and in Wad ben Naqa. Both are cities on the Nile; Wad ben Naqa is about 70 kilometers upstream from Meroe. We also find a strong presence of Nubians at Isis’ great temple at Philae, which became a place of pilgrimage for Nubians during the 25th dynasty when Nubians ruled in Egypt. It was said that Nubian kings ruled with the Queen Mother, called the Kandake, so Amanitore may have been Natakamani’s mother rather than his wife. Isis was important especially in Nubian funerary customs and in the kingship. Kings are frequently said to be the Son of Isis or Beloved of Isis. Some inscriptions indicate that it was Isis Who watched over the post mortum transformations of the deceased and eventually gave the Ka (Kha in Meroitic) permission to leave the tomb and go to the Otherworld. Isis was paired with Osiris in relation to funerary customs, in which Osiris served an Anubis-like function as Otherworld guide. “Give noble renewal, O Isis, to the new vivification. Give renewal, give its erection. Reflect on the patron [that is, the person who dedicated the statue] and guide good prosperity on the good path indeed. Desire patron [I presume this means the patron desires] the bestowal of a rebirth to resound in Henel. Goodness comes into being as an Object of Respect for the patron. Give existence to the new vivification. Go now and give it leave. Fashion wonderment and order, O Isis, you will commence to make wonderment in abundance. The good Supporter even goes to wipe out much non-existence. The hero to behold all. Act now to bear approbation. You give guidance and nourishment. This is done by transmigration; give its existence. The disciple indeed to reflect on Isis the good, she puts on you guidance. In addition to worshipping the Goddess in their own land, Nubians travelled to Philae to honor Isis at Her great temple there as well. We know them from the “adoration graffiti” or proskynema they left at the temple and the surrounding area. Philae is at what was the borderland between Egypt and Nubia. Interestingly, the temple faces south, towards Nubia, which is not the usual temple orientation in Egypt. Excavations have found Nubian-like pottery at Philae, predating the temple there. The earliest certain evidence of Nubians at Philae is from about 690 BCE, during the 25th dynasty. The Nubians who visited Philae were priests and “agents” of Isis and seemed to have timed their visits to coincide with the Festival of Osiris during Khoiak, which marked His death and renewal as well as the recession of the Nile flood and the time of sowing crops, and the Festival of Entry. They often brought donations of gold and other valuables for the temple there. One interesting inscription says that the envoy was to give ten talents of gold to the Philae priests and their daughters. I wonder if this meant that the daughters were all serving as priestesses of Isis? The Great Lady of Nubia brings Her healing from heaven, She watches over the transformations of the deceased and brings new vivification, new life, and—as always—She welcomes a deeply personal relationship with Her devotees. Next Next post: What does it mean to be a priestess or priest of Isis?